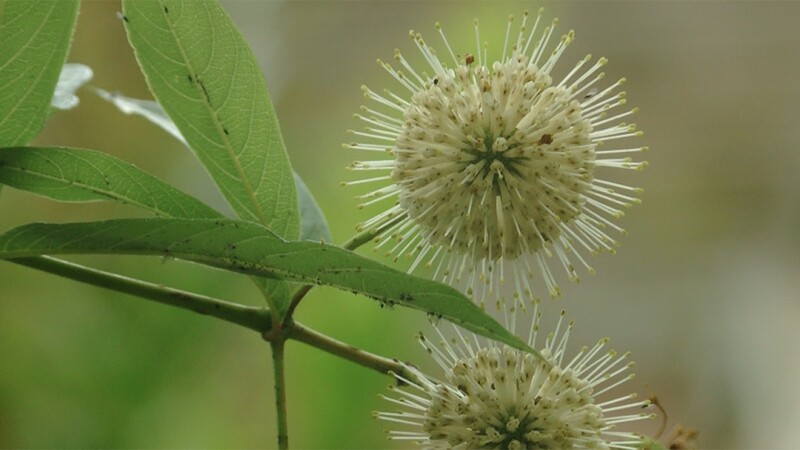 PALM BEACH, Fla. — You can help protect paradise in your own backyard by gardening with native plants, unlike the majority of most landscaping in South Florida. “Most of Florida and Palm Beach and West Palm Beach, most of it is probably between 50 and 75, if not more, percent non-native, exotic from other places," said Susan Lerner, director of horticulture for Preservation Foundation of Palm Beach. Lerner oversees Pan's Garden, a unique privately-owned garden off Hibiscus Avenue in Palm Beach, which is open to the public from 9 a.m. to 5 p.m. every day. It emphasizes the importance and beauty of native plant gardening. "I want people to come into Pan’s Garden and think, 'Wow, native plants look nice. I can do this in my garden,'" Lerner said. Pan's Garden started 25 years ago after a woman named Lydia Mann donated money to the Preservation Foundation of Palm Beach for a native garden. "What we like to say in the Native Plant Society is they're [native plants] the gateway to sustainability," Lerner said. Lerner said only one plant in the garden is non-native, which is Mexican milkweed because it attracts monarch butterflies and allows Lerner to offer educational opportunities about butterflies for children. She plans to phase in native species of milkweed as the butterfly population in the garden strengthens. Otherwise, the garden utilizes native plants, such as American beautyberry, pearl berry, Bahama cassia, blanket flower, among many others, to naturally attract various butterflies and insects, birds, and other valuable members of the ecosystem. Lerner also doesn't use pesticides or herbicides in the garden because they kill insects, which are critical for a natural environment to thrive. "The native insects here in Florida evolve with the native plants here in Florida, as is true all over the world," Lerner said. Jeff Nurge of Native Choice Nursery, located off Hagen Ranch Road in suburban Boynton Beach, dedicates the majority of his business to native plants. He said the demand for native plants has grown over the last 10 years. "Cut down on their water usage, fertilizer usage, pesticide usage," Nurge said. Nurge offers native plants for all kinds of green thumbs. He suggests starting off with a firebush, wild coffee, starry rosinweed, lantana, coral honey suckle, or false rosemary. "Without the plants, the wildlife is not going to show up," Nurge said.